Styled with westley short and provence wicker bag . Isn't that always the question? 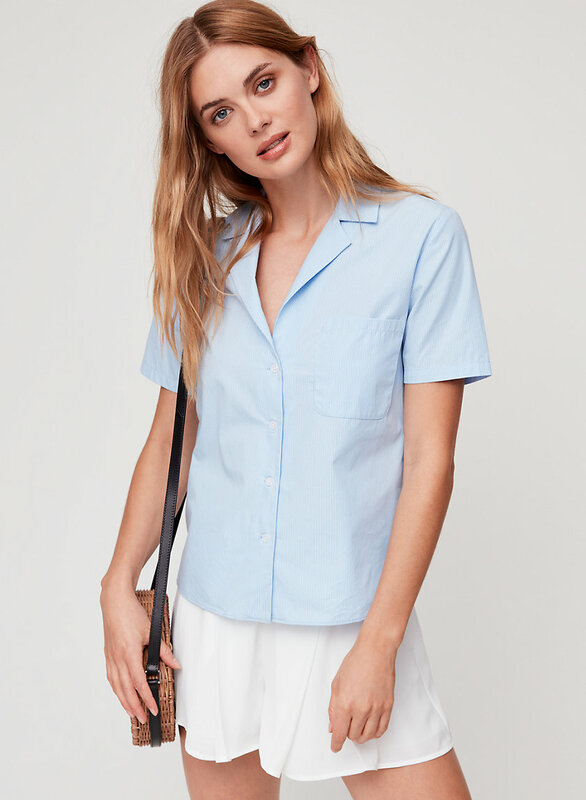 This is a vintage-inspired, button-up blouse with a single chest pocket. 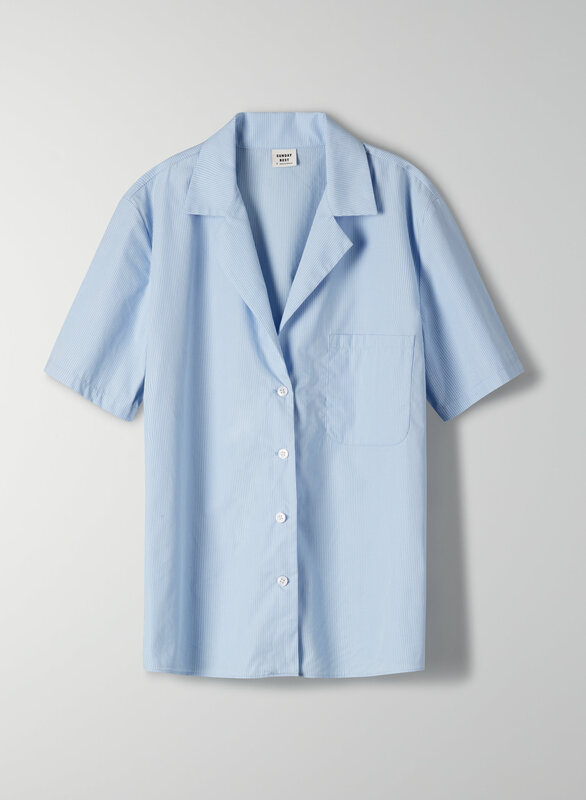 It's made from a soft, cotton poplin fabric.